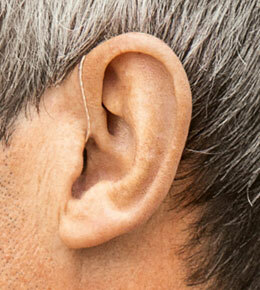 Hearing aids are not only discreet and easy to use but enable better, more natural hearing. Each hearing aid is programmed specifically to an individual's hearing based on the results of their hearing test or audiogram. Dr. Malka specializes in developing individualized rehabilitative programs for those with hearing loss which include the fitting of hearing technology as well as providing therapy to improve listening in background noise and understanding of fast speech. She enjoys working with the spouses and families of those with hearing loss since a patient’s ability to improve their hearing is often influenced by the involvement of those closest to the patient. You take your hearing devices with you wherever you go, so naturally they're going to experience some wear and tear. In order to get the most out of your devices, we recommend that you schedule routine maintenance appointments with us. We can service your devices and make any adjustments you may need. If something were to happen, our staff can work with you to quickly get your devices functioning properly and so you can continue to enjoy your high quality of hearing. We also offer the Secure 4-Year Warranty, the longest hearing device warranty available only on EarQ devices. At Low Country ENT, we want you to rest easy knowing that your investment is protected. Low Country carries a variety of hearing devices that feature Siemens' revolutionary binax technology. The binax platform is spatial speech focused, which means it's capable of isolating dominant speech and diminishingbackground noise. This offers wearers a greater sense of clarity in noisy environments. 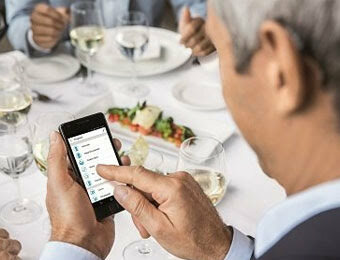 binax also allows for iPhone® and Android compatibility, essentially turning your smartphone or tablet into a remote control for your hearing device. With the easyTek™ app, you're able to make quick adjustments, such as manually changing the focus direction of the device microphones.